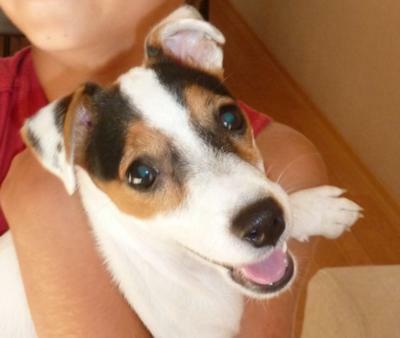 Coco is an extremely cute 5 month old Jack Russell Terrier from Croatia. She is very playful, loves all people - especially children, and is very smart. 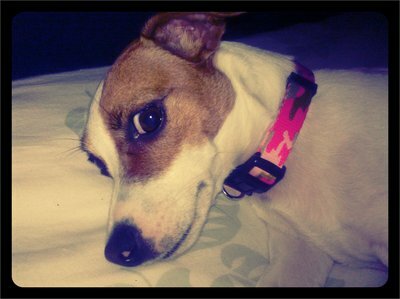 Mama's Dog is Prozac and Zoloft! Natural Antidepressants for me! 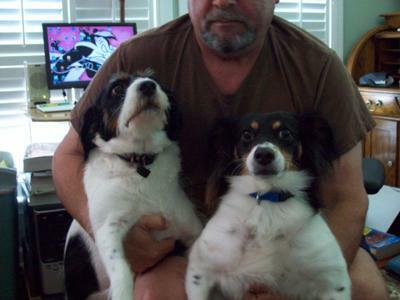 During Hurricane Gustav, I lost my beloved baby, an older Sheltie Oby one and only! Two weeks later his sister a catahoula gave in to some health issues she had and let her grief take her as well. I always told everyone they were so close if I lost one I would lose the other. Unfortunately I was not wrong. I fell into a deep depression over the loss of my babies whom had seen me through major events, divorce, death, living alone after being a single mom, floods, and much more. they were truly my best friends. I am a true animal lover and decided I needed to give that love to another baby who needed me. I went to the local shelter and saw the sweetest little face sitting all alone in a big cage filled with larger meaner dogs just looking at me like, when you are finished looking I am here. I picked him up and he snuggled his head against my face and "talked" to me in a voice that I swear said Mama. He had been severely neglected and abused and was skin and bones, but I fell in love! 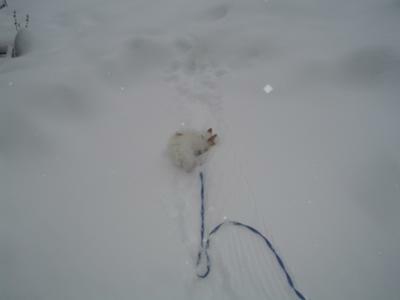 So home we went, He was promptly named mamas Prozac! He was the sweetest, most cuddly boy I had ever seen. I always believed one should not be an only child, so I began surfing the web. 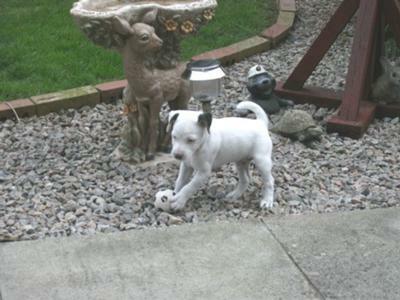 I discovered Zac was a Jack Russell Terrier as I had never had one before. I was unsure, so I visited Jack Russell rescue sites and looked through thousands of pics, finally seeing one that spoke to me through her eyes from 100 miles away! I adopted her without meeting her prior, and she was delivered to me a week later by the rescue. immediately upon meeting Zac they became a sweet loving couple. They have never fought. She is now Zoloft, they are called Zac and Zoey. together they are the most amazing, loving, fun dogs I have ever shared my life with. They are my antidepressants! 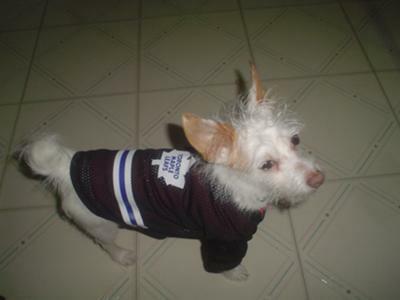 Reddy Freddy Jack Russell from Brampton Ontario. 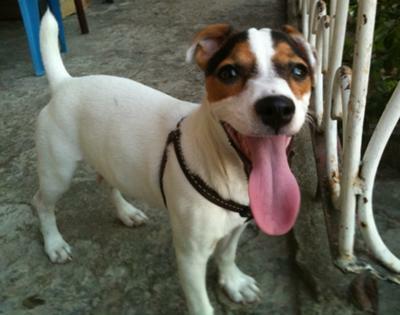 Freddy is a wired hair Jack Russell Terrier going on 4yrs old. He weighs 5 1/2 lbs. 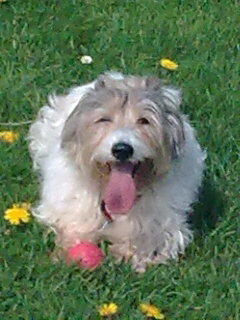 Like all Jacks he is very smart, funny and he's a people dog, loves kids the best. Picky eater but that's ok. Loves to play hockey. MacDuff on the ball - as usual. His name is MacDuff. He is 15 and a half years old, deaf certainly, but still full of fun. He goes to the play park once a day for about 30 minutes and chases and retrieves ball like a puppy. He's quite a character, well known throughout the local area and as gentle and loveable today as he was when we got him aged six weeks. 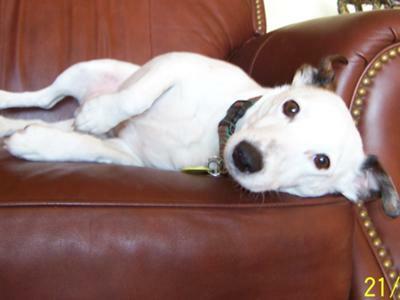 Marley,a Jack Russell Terrier, is 3 years old and loves to swim, fetch, run, and play. She also loves to cuddle. If your laying on your back, watch out because she will want to lay on your chest with her face against yours :) She's such a sweetie.